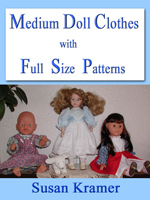 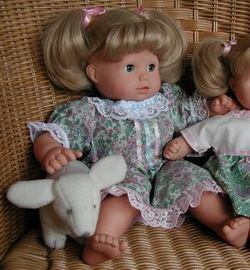 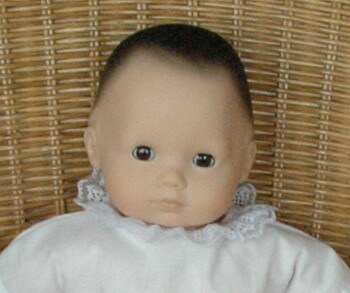 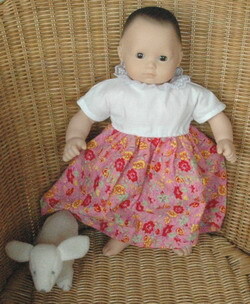 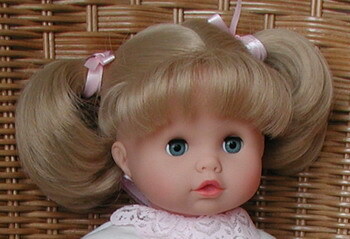 Doll has soft stuffed cotton body, vinyl arms, legs, head, and sleep eyes. 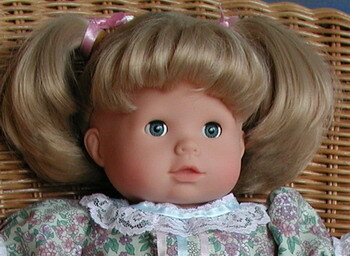 Doll is washable, all vinyl, painted eyes. 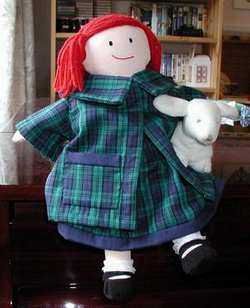 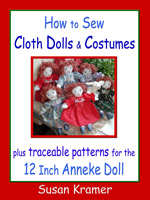 Doll is stuffed cotton, embroidered features, yarn hair.